Our Mission: Guiding and empowering self through psychic consultation. Judie Randall is honored to be gifted in psychic readings, mediumship, soul retrievals, power animal retrievals, and energy/spiritual healing. Along with her compassion and intuitiveness, Judie incorporates her extensive knowledge and finely honed skills in the healing arts into her practice, being sensitive to the client’s individual comfort levels throughout the process. Her mission is to help people reach a greater understanding of themselves and their soul’s journey. 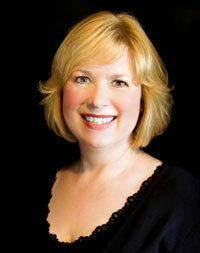 Judie’s warm smile, sense of humor and infectious laugh help put clients at ease. Connie Braton is blessed to be following her life’s path as a gifted Psychic, Medium, Teacher and Paranormal Investigator. Her purpose in this lifetime is to help individuals realize their unlimited potential as Divine Souls who are loved beyond imagining by their Creator, and to recognize the Oneness of all souls on this planet. During readings, Connie works closely with her spirit guides to receive and convey messages from loved ones who have crossed over, as well as teachings and messages from Guides, Angels and Masters on the other side. These messages are delivered with gentleness, humor, and a great respect for the loving hearts of those who are seeking a deeper connection with Spirit.